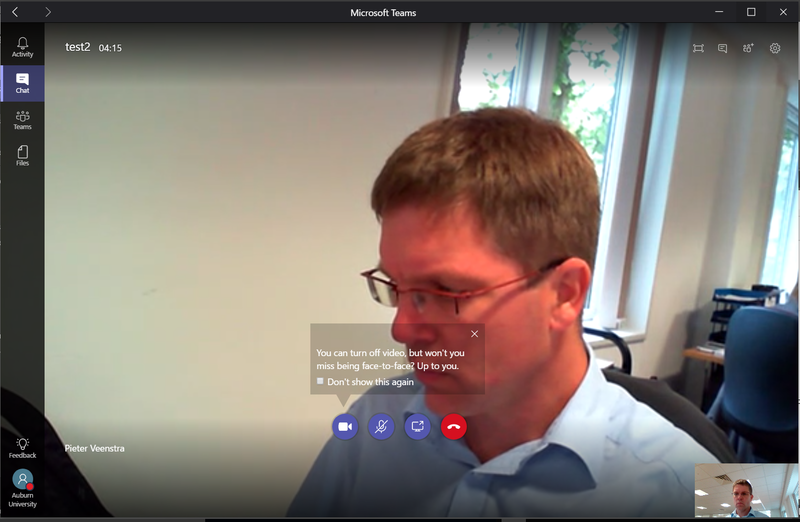 Home › Office 365 › Microsoft Teams › Microsoft Teams – Meetings with guest access. Did you get anyone to turn up? I’ve now played around with Microsoft Team’s guest access and I found a few issue. It is possible to invite guests to a meeting, but it can be a bit tricky to get people to turn up. Currently when you invite a guest they don’t get any alerts. Other than a small alert in the Chat section of Teams, but this alert only appears after the meeting has started. This alert is also not visible when you aren’t in the account where the meeting is hosted. There is no email that goes out to the guests. As a guest you don’t get the Meetings section, so there is no way to get to your meeting when you are a guest. 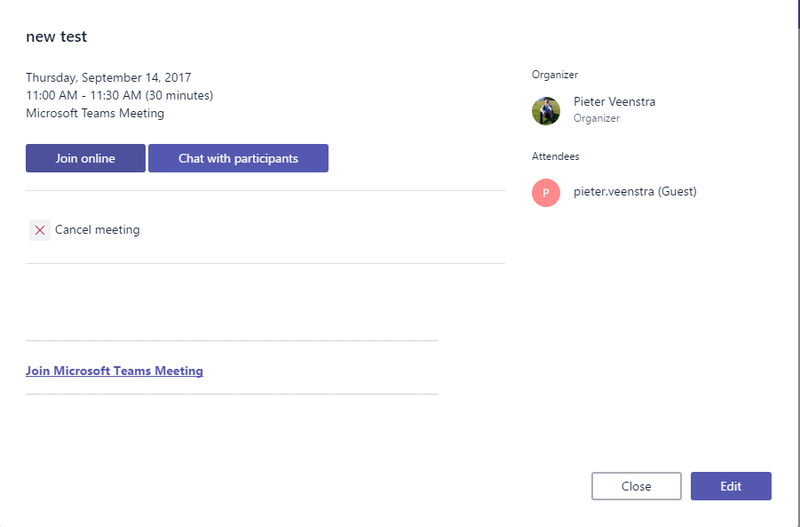 Within the invite you will have to copy the Join Microsoft Teams Meeting link and send your guests a meeting request in Outlook for now. Once I got this to work with my development and production account and I was able to have myself as guest in my meeting. 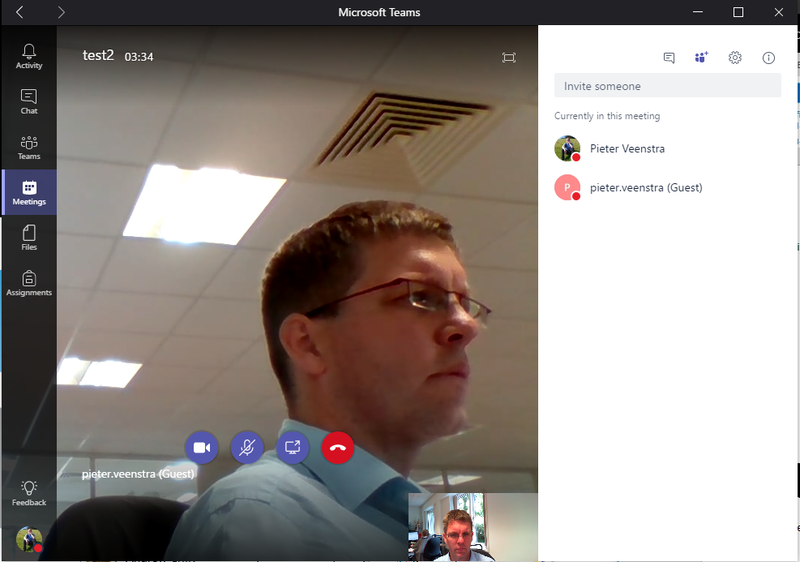 ‹ Microsoft Teams – is Microsoft reinventing the wheel? Peter – another great post! The issue here is the guest’s email address for the meeting invitation gets mangled due to a bug, for some addresses. Short-term workaround is to forward from Outlook, or create from Outlook originally using the add-in. We’ll fix the bug shortly.